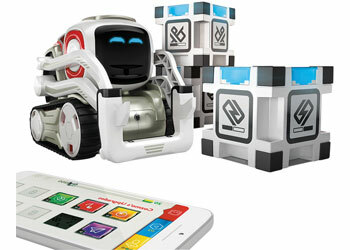 Anki Cozmo is the robot with the big brain and a bigger personality. Thanks to artificial intelligence, this robot expresses hundreds of emotions. Cozmo is made of 300+ parts that create one super smart, super entertaining robot. He doesn’t just move, he explores, plots and plans. 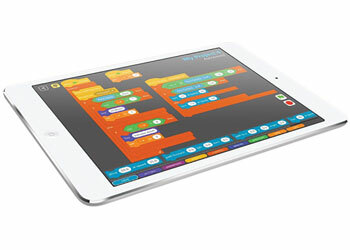 Cozmo is equipped with Code Lab, the perfect platform for new coders- simply drag and drop a few blocks and you’ll see him act out your creation. 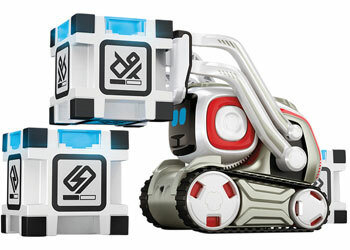 Each box comes with one Cozmo Robot, one charger and three interactive power cubes. – 4 motors and over 50 gears, to move its threads, arms and head. Encoders determine how far Cozmo has moved, as well as the precise angle of his lift and head. – Face is a 128 x 64 resolution display that can show off his many emotions. – Arms are designed to carefully lift blocks and keep them balanced, but sometimes he prefers to use them to knock a stack of cubes over. – Comes with back lights and speakers and a 30 fps VGA camera and sophisticated facial recognition software. Compatibility: Running at least iOS 9.3.5, Android 5 (Lollipop), or Fire OS 5.4.0.0. Connects to your device via his own secure WiFi network. 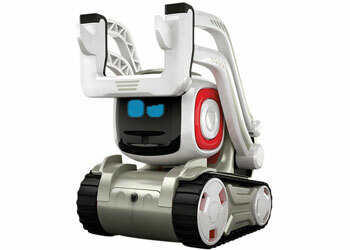 Everything Cozmo is capable of doing has been condensed into drag and drop blocks you can string together. By simplifying programming into a more accessible format, anyone can code. Each block represents an action, movement or animation. 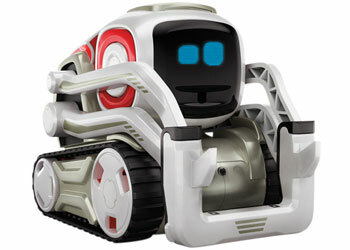 To make Cozmo come to life, simply drag and drop blocks together and watch him go. 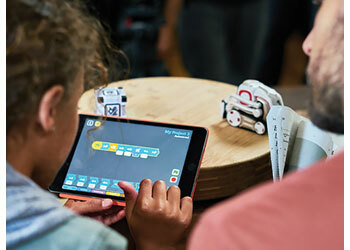 With Code Lab, you’re only limited by your imagination. String together complex animations, actions, events and movements to choreograph what you want him to do.